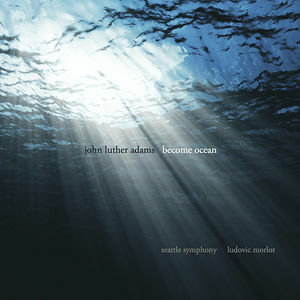 Commissioned by the Seattle Symphony, the debut recording of John Luther Adams' lush, richly orchestrated Become Ocean was awarded the Pulitzer Prize for Music in 2014. Inspired by a poem written by John Cage for Lou Harrison, the work is designed to envelop the listener in waves of sound. With Ludovic Morlot at the helm, the Seattle Symphony deliver a powerful performance of Adams' elegant score, which swells from near-slient to raging tempest.